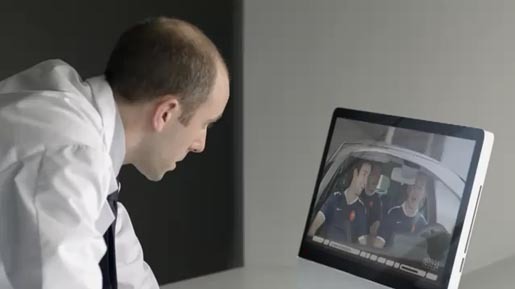 Renault, sponsor for France’s national rugby team, the France XV (Les Bleus), ran a television advertising campaign this year starring Renault engineers and French rugby players. In 2010 a series of commercials put the Renault Clio to the test. In 2011 the campaign features the newly named Renault Megane XV de France. The Rugby Test campaign was developed at Publicis Conseil, Paris, by chief creative officer Olivier Altmann, creative directors Emmanuel Lalleve and Florent Imbert, art director Ludovic Marrocco, copywriters Damien Calla and Sergio Alonso, planner Bruno Planty, account supervisor Stephane Gaillard, account mangers Florent Moignard, Benjamin Merllie, Adeline Blanc, working with Renault marketing team Guillaume Josselin, Isabelle Fossecave and Olivier Bourquin. Filming was shot by director Shaun Severi via Quad Productions with producers Olivier Rohde and Isabelle Darroman. Post production was done at WAM by producer Pierre Marcus.